Last Wednesday (the 8th, not the 15th), I got to add another name to the list of nifty Knittyheads that I've met in person. The lovely jpknits was in town with family, and sent me a message on Tuesday that she had a little time before her flight on Wednesday, and would I like to meet up for lunch and a little yarn-fondling. She'd heard my raves about StitchDC, so she wanted to check it out. Happily, I was indeed available, and we met up for a lovely time. We both picked up a couple of things while we were there, and then we headed over to Banana Cafe (where I take everyone if possible), where she treated me to lunch and margaritas (Thank you again, sweetie!!). I also picked up some sock yarn, originally planning something for my SP, but the more I look at it, the more I think it might be a little too contrasty for her tastes. So... erm... yeah. It'll be something for me. Heh. 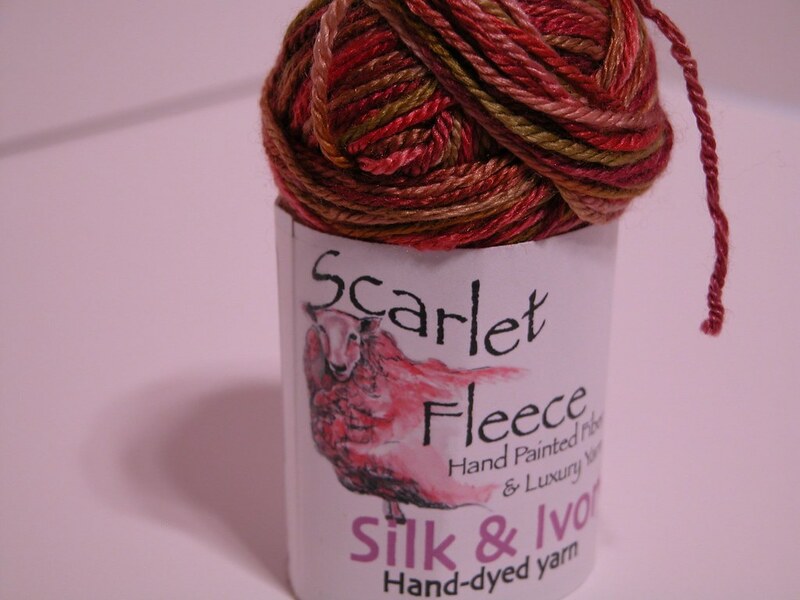 It's Scarlet Fleece Painted Merino in "Red Velvet Waters". Well, once Kris gets home from work, we're off to help Roxy celebrate her birthday this evening. Have a great weekend everyone! You do have good taste in yarn! I totally need some of that now. I've so been coveting anything red. ok how did you get your dream swatch not to roll? that pimento and olives is yummy! Oh, golly, thanks for the nice note! I had a grand time. 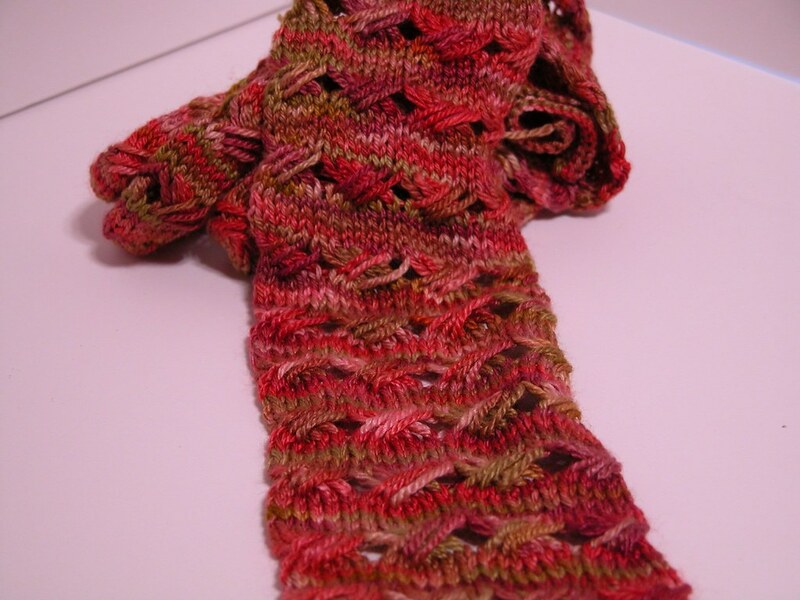 And that dream swatch - why LOOK AT YOU GO WITH YOUR CRAZY KNITTING SELF! I'm so looking forward to knitting up the pimento and olives of the merino that I brought home. Different look from the silk, but both rich and tasty treats. Are there yarn shops in Williamsburg? Hubby and I are going back there for our 10th anny in October (we honeymooned there, we were poor then) and I would love to check out some yarny goodness while there. 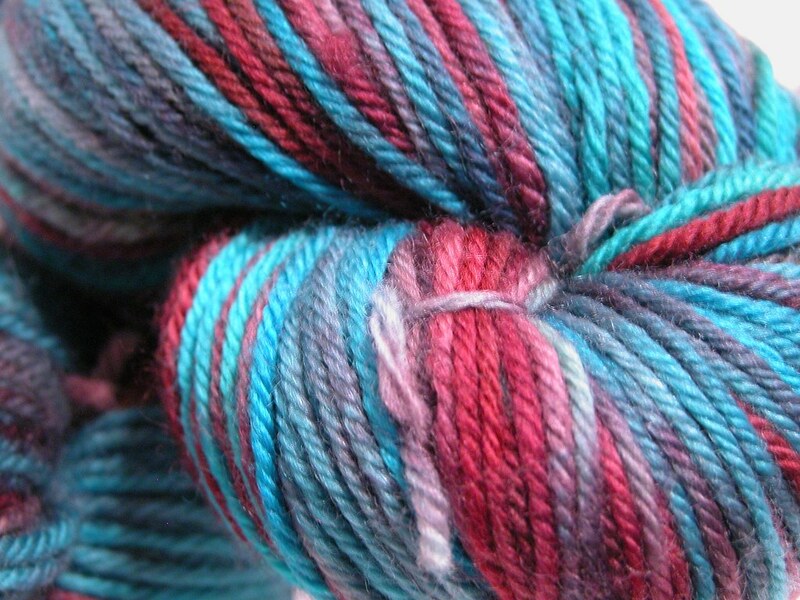 I agree, you do have good taste in yarn....which I hope to find out in person very soon!! Pimento and Olives..yikes I'm hungry for a sammich of them right now! Hey, I need that scarf! I've been looking for the perfect scarf pattern, and this may just be it. You already know I like the Pimento and Olives and the resulting headband, but wow that Red Velvet Waters is gorgeous! Hi! 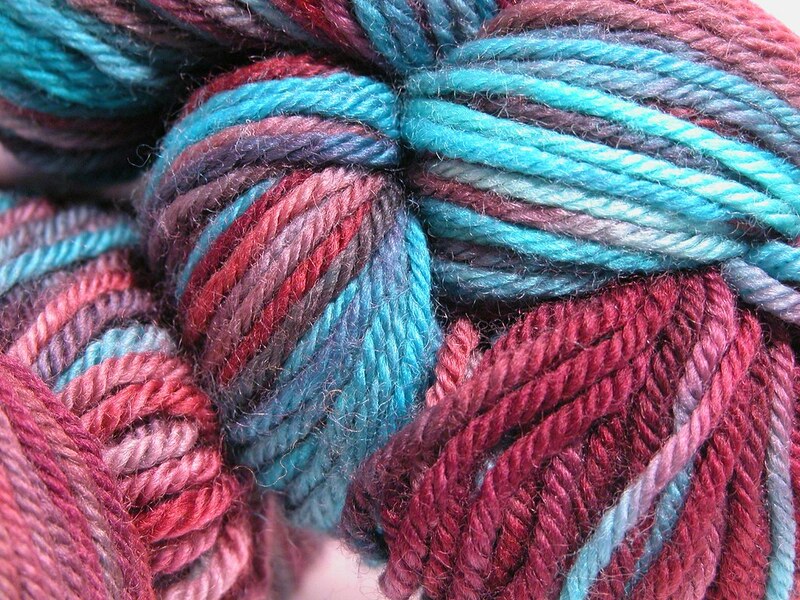 That yarn is so pretty! Which Stitch DC do you go to? I always go to the Chevy Chase one and I've found that there isn't much there in terms of selection.